A Missouri court handed down an unusual sentence this week: A hunter killing deer illegally must repeatedly watch a Disney classic cartoon at least once a month during his year-long jail sentence. Conservation agents have called the case against David Berry Jr.—and three of his family members—one of the largest deer poachings (illegal hunting or killing) in state history. “The deer were trophy bucks taken illegally, mostly at night, for their heads, leaving the bodies of the deer to waste,” says Don Trotter, the prosecuting attorney in the case. How sad! God calls "every beast of the forest mine." (Psalm 50:10) He intends humans to take His creatures for food. But He never condones abusing them. Berry, his father, two brothers, and another man had their hunting, fishing, and trapping privileges revoked. The men also paid a combined $51,000 in fines and court costs. But Judge Robert George ordered a special addition to Berry’s sentence for illegally taking wildlife. He ordered Berry to “view the Walt Disney movie Bambi, with the first viewing being on or before December 23, 2018, and at least one such viewing each month thereafter” while at the county jail. Berry’s father, David Berry Sr., and his brother, Kyle Berry, were arrested in August after an eight-and-a-half-month investigation involving cases in Kansas, Nebraska, and Canada. The Missouri Department of Conservation says information from the investigation led to more than 230 charges in 11 counties. Investigators say David Berry Sr.’s other son, Eric Berry, was later caught with another person “spotlighting” deer. The technique uses strong lights at night. The deer pause to look at the lights, making them easier to hunt. The investigation into the Berrys began in late 2015. 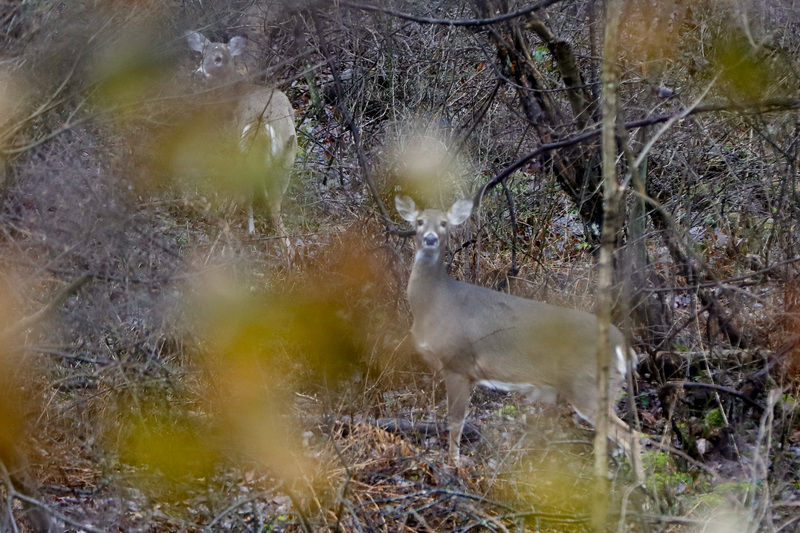 The conservation agency received an anonymous tip on their “Operation Game Thief” hotline about deer poaching in Lawrence County. Wow that is an unusually sentence! That is a pretty funny and unusual sentence! I thought it was a law that there aren't supposed to be "cruel or unusual" punishments? That is a really strange and unexpected sentence! Judge: You must view the Disney movie "Bambi" once every month! Mwahaha!-------David Berry Jr.: No! No! Spare me! Oh, please don't make me watch that movie! Its torture! Help, someone, anyone, help! I don't want to watch this movie! Please!-------Judge:Take him to the... MOVIE ROOM!!!! *Thunder and lightning in the background* MWAHAHA! Make him..... WATCH THE MOVIE! !------ Berry: Ahhhhhhhhhh help!!!!!!!! Wow... That's A Weird Sentence... But Also Funny. Isn't the 8th amendment Not Cruel Or Weird Punishments? Not really anything to laugh about, more sad than anything. Sad. You guys, poaching is a serious thing, nothing to laughing about. Sure, it's a weird sentence, still nothing to laugh about. Jail is really hard, and I'm sure David Berry regrets poaching in the first place. How cruel! Their ( the poachers) hearts must be made out of stone! Odd, about Bambi. The Judge must of had a sense of humor. I wouldn't of had any for that man or anybody else involved with poaching! @Paul and @Elizabeth You're right! I think the constitution is talking about unusual punishments in a different sort of sense. I'm sure sentences now days are much different than at the writing of the constitution and their needs to be room to adapt to different times, situations, and people. I see your point A.R., but I still think that it is nothing to laugh about. Um, shastya, that comment probably wan't true. There can be lots of reasons for poaching a deer, for example, maybe he just likes deer meat. Our family sure does.... NOT THAT WE WOULD POACH A DEER!!!!!!!!!!!! !